Racism, women, unthinkably expensive watches, and egos the size of small star systems form the pillars of Watch The Throne, one of the most anticipated albums of the summer. 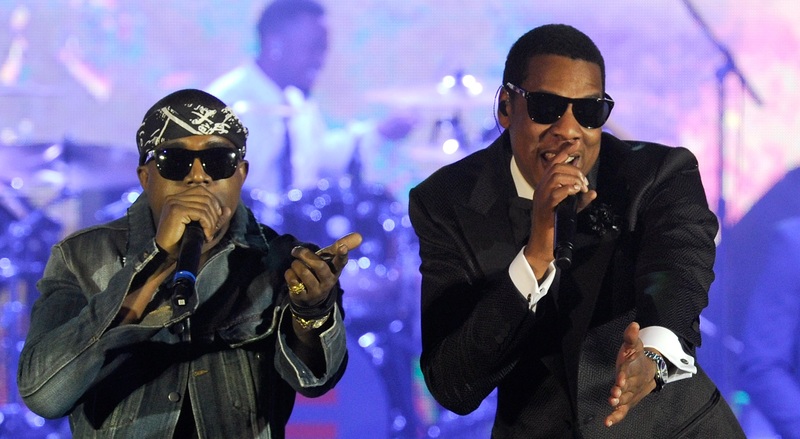 A collaboration between two superstar rappers, the combination of these two artists’ strengths (namely, Jay-Z’s gritty barrages of wordplay and Kanye West’s unique sense of style and production) promised to be a masterpiece, but falls a bit short due to flaws that emerge when two superegos are forced to make room for one another. However, this variation only serves to make the album more cohesive, if one follows it properly. Despite its gold-gilded cover, the album is far less indulgent and materialistic than one would think. There are both justice and emotion behind this effort, despite lines like “Like a hare, like a rabbit, I like karats.” It paints the full picture of the lives of these two men who, regardless of differences in their rapping, have plenty in common as social activists and human beings. All the faces of the album converge upon the album’s final trio of songs, where the musicians advocate a socially conscious black elite. Their position: they are influential individuals and artists in a country that still regards them as a second-rate race. They want to show black children in bad neighborhood what’s possible, and lead them away from gang violence, as stated by Jay-Z on the album’s hard-hitting final track: “And they want me dead but I’m sorry but I just can’t die for you / But I can make ‘em put their hands in the sky for you.” Comparing himself to Christ, he explains that he wants to be a role model for kids struggling like he did, but he wouldn’t be willing to die for the message, like so many poor teens do for their gangs. However, as Hova and Ye try to share one golden seat, the compromise made by both show as the album enters its second half. Something about Jay-Z’s rough shouts and supersonic bursts of rhyme doesn’t mesh with the spacey sound effects and chaotic background noise that come with production by Kanye. The album’s overall noise is more suited to Kanye’s piercing voice and signature “Heaaah”s. On the other hand, when Jay-Z is let loose, he outshines West lyrically on almost every song. These imbalances, as well as some less-than-legendary tracks (“Lift Off”) prevent the work from reaching mythical status, but don’t prevent it from being a well-rounded and full album almost on par with the masterpieces Jay-Z and Kanye West have created on their own. 8.5/10. The Good: Diverse subject matter, great lyrical imagery from both rappers, a bold message of racial activism. The Bad: Awkwardness between the styles and methods of both rappers, wordplay drowned by sonic chaos. The Ugly: Listening to the wimpy verses on “Lift Off”, which sounds more like a Beyonce song that happens to feature two impotent rappers. “No Church In The Wild” – A thumping rejection of organized religion and monogamy with stunning imagery and a hook by crooner Frank Ocean of Odd Future fame. “Lift Off” – The album’s only true slip-up, stuffed with rocket-launch sound effects at the cost of any genuine rapping. “[Expletive]s in Paris” – The first full-on demonstration of lyrical skill on the album, Jay-Z raps like a madman over a questionable sample from, of all things, Blades of Glory. “Otis” – A short but sweet collection of short verses sent back-and-forth between Yeezy and Hov, somehow made to work over a sample of an ancient song from blues artist Otis Redding. “Gotta Have It” – Similar in many respects to the song before it, this is a rare case when both rappers have equally good verses; Jay-Z outperforms Kanye on nearly every other song. “New Day” – The album goes off on a tangent so both rappers can speak to their unborn sons. This deep and heartbroken song shames every reviewer who claims that the album is a celebration of wealth. “That’s My [Expletive]” – A song simply about women and all the troubles that come with them, on par in cleverness with the third track; this song has both rappers with one long verse each, where they can each display their style to its full extent. “Welcome to the Jungle” – Another stumble on the album’s part, this song is solid but held back by its sheer busyness, bouncing all around the place and needling at the listener. “Who Gon Stop Me” – Jay-Z knocks it out of the park in this song, rapping about his childhood and the difficulties he had in his rise to fame. Unfortunately, the production and soundscape reduce the emotional impact of Jay-Z’s verse. “Murder to Excellence” – Beginning the ending trinity of powerful and moral songs, this is an excellent track about black-on-black murder and a chilling call for brotherhood. “Made in America” – Frank Ocean returns to wail on a song about famous black individuals who have made it to success and America, and about not forgetting one’s roots. If the album had to have a focal point, this would be it. “Why I Love You” – Jay-Z has this song to himself, and seizes the opportunity to sum up the nature of trust and loyalty in the world established by the preceding 11 songs, using his notorious boldness to end the album on a high note.